Most patients of bartter and gitelman syndrome have low or low-to-normal blood pressure. They may show signs of volume depletion. C causes chloride responsive type of Metab. Alkalosis ( urine chloride is < 10 mEq/L) initially high but low afterwards when it is depleted. I have a simpler way to answer this question. 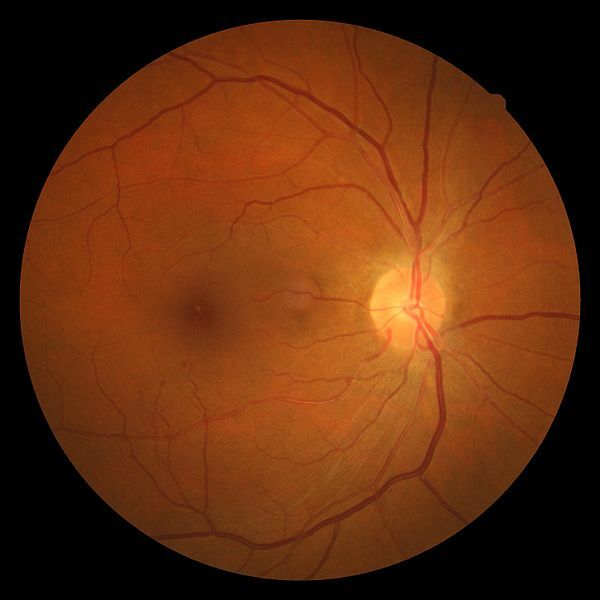 The ophthalmoscopy shows signs of grade II hypertensive retinopathy (AV nipping). By exclusion principle, the only option that causes hypertension is primary hyperaldosteronism (Option D). My answer is Option D.